Lettuce 'Four season’ l (Lactuca sativa 'Merveille des 4 saisons'): growing, planting, caring. Heirloom butterhead with red-tinged leaves. Heirloom. 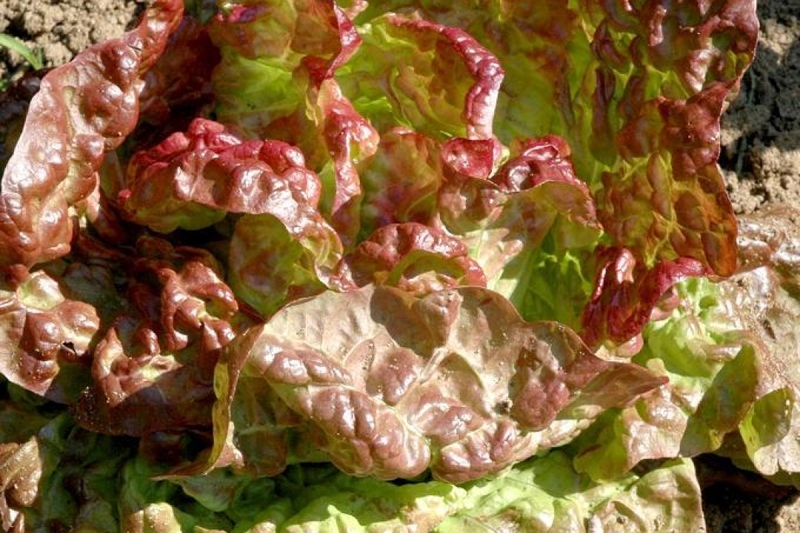 Remarkable cold hardiness for this very beautiful 6" lettuce, for early spring planting and for fall/winter harvests. Broad leaves, embossed, green with red edges, a pommate shape, moderately dense. Outside: Sow in a cool soil high in humus, avoiding a sun too violent which would cause your lettuces to quickly produce flowers. Sow in open soil from April to July. Space the lines 30 cm, and sow in a low density, because you will keep only one plant every 25 cm: you can mix the seeds with sand for easy handling! Work the top soil finely, leaving no clods, finishing with a scratching and a delicate raking. Sprinkle gently with the watering can or better, with the sprayer, without creating a swirl that would take away the seeds. Inside: Sow under cover in February and March. Space the lines 30 cm, and sow in a low density, because you will keep only one plant every 25 cm: you can mix the seeds with sand for easy handling! Work the top soil finely, leaving no clods, finishing with a scratching and a delicate raking. Sprinkle gently with the watering can or better, with the sprayer, without creating a swirl that would take away the seeds. Harvest according to your needs, cutting them at ground level. Remember that lettuces become tough if you let them produce seeds.